Congratulations to the Jr. Women’s Sweep Team that rowed with our Slim Ellipse Sweep Oars. 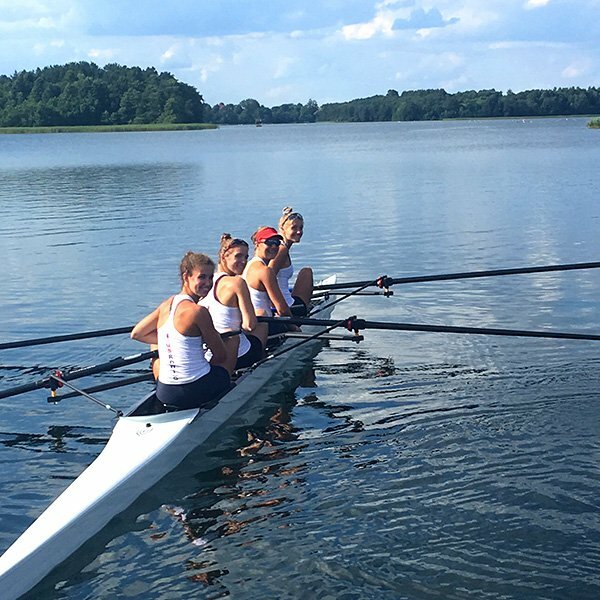 The 4- won the Bronze medal in A Final:In the women’s four, Kelsey McGinley (Westport, Conn.), Riley Lynch (Vashon, Wash.), Kaitlyn Kynast(Ridgefield, Conn.) and Rose Carr (Newark, Del.) and their coach Liz Trond. The order of finish was Croatia 1st (5:57.75), 2nd Romania (7:00.87), USA 3rd (7:04.60), China 4th (7:06.15), Poland 5th (7:09.00) and New Zealand (7:17.36). The U.S. women’s eight crew of coxswain Aparajita Chauhan (Seattle, Wash.), Julia Braz (Sarasota, Fla.), Azja Czajkowski (Chula Vista, Calif.), Katryna Niva (Davis, Calif.), Fran Raggi (Winter Park, Fla.), Christiana Congdon (Concord, N.H.), Teal Cohen (Dallas, Texas), Jenna Van De Grift (San Diego, Calif.) and Miranda Nykolyn (Huntington, N.Y.) raced to a 7th place finish ahead of Austria and Belarus in their B-final. Also, congratulations to the Jr. 4x with their 5th place finish in the A Final, the men’s 1x sculler, Clark Dean, who never lost a singles race and won the only Gold Medal and Men’s 8+ who won the Silver Medal.